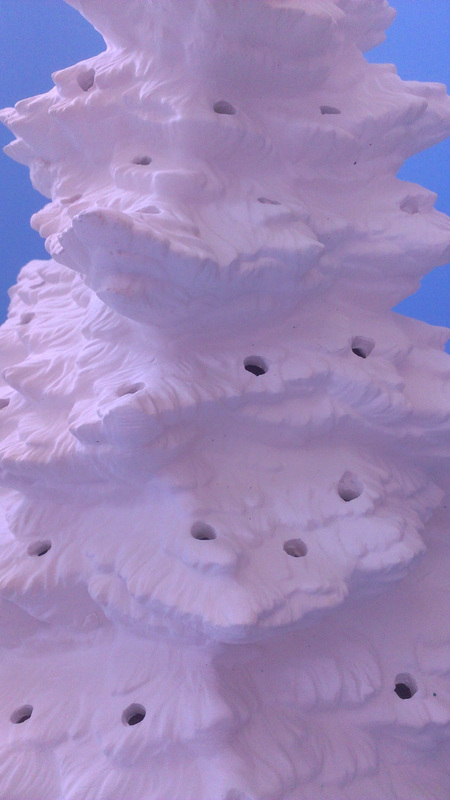 Very detailed and excellent quality large ceramic unpainted pine Christmas tree with base, electric kit, multi coloured birds or bulbs and star. Ideal for painting with acrylic paint. Very good piece for drybrushing or antiquing technique. 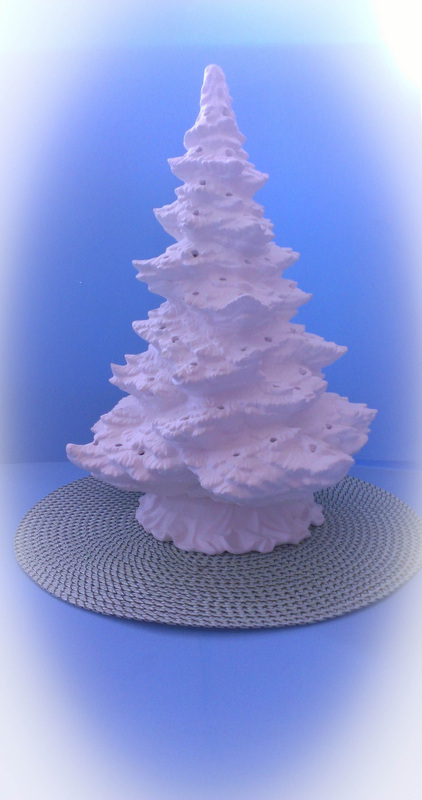 Even beginner ceramic artists will create a beautiful tree or this piece would make an excellent gift for crafty friends. 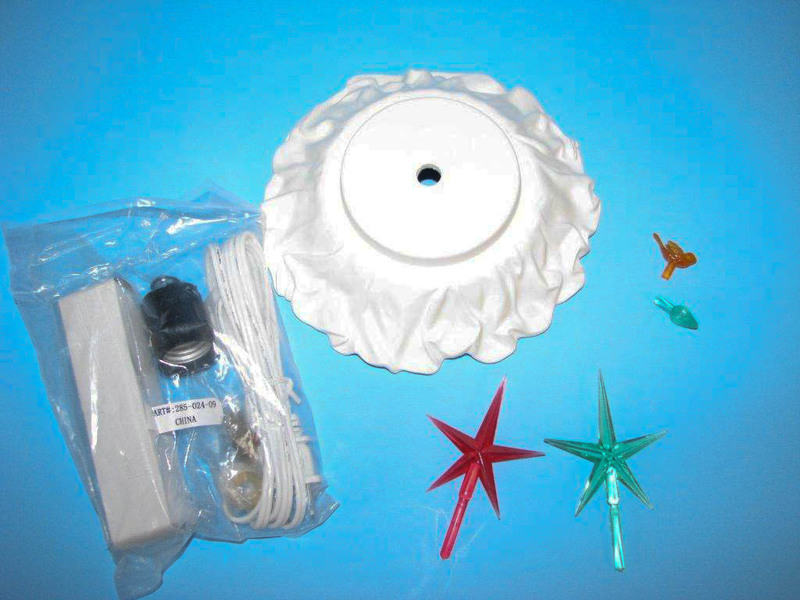 All of our trees include the easy to assemble electric light kit, bulb, star and multi colored birds or bulbs. 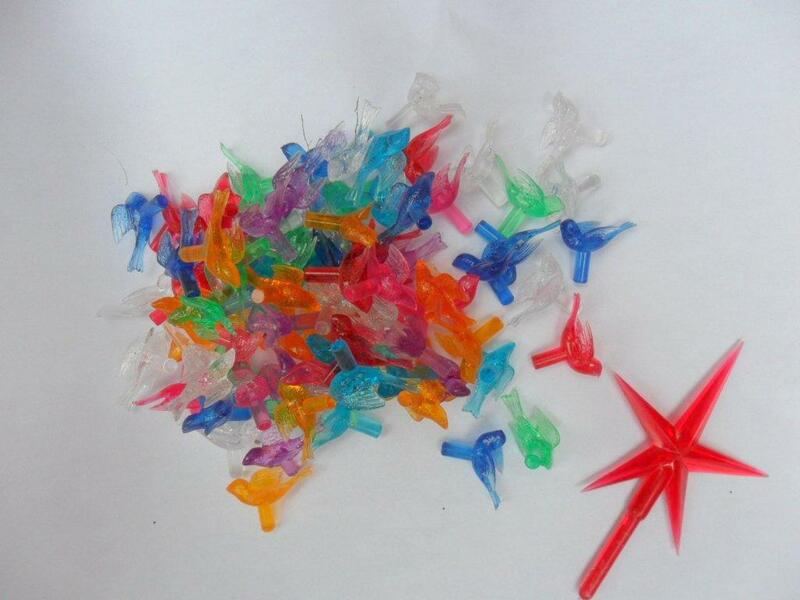 Birds/bulbs and star are easily glued into the holes and the base is designed for the electric kit. Easy to assemble! 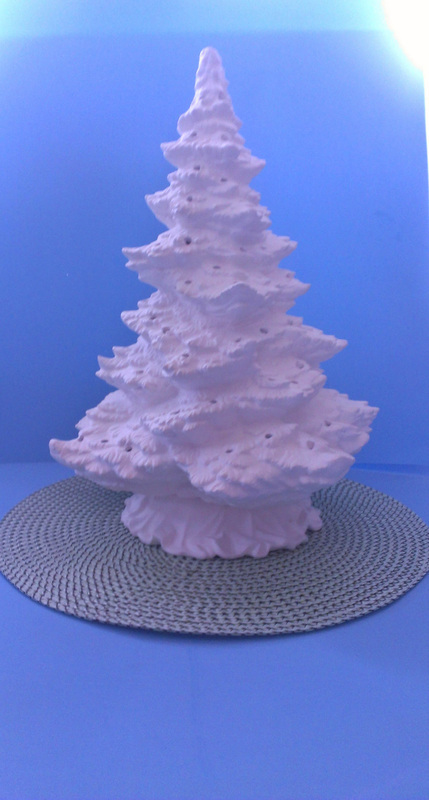 Thus full tree height with base and star is about 16 inches, and about 18 inches high when assembled with both base and star.